Sedation Dentist Las Cruces NM | Dental care with IV, oral or nitroux oxide sedation! We understand that for some patients, dental treatments create anxiety. Shots and drills can create apprehension, and we are especially sensitive to these patients' needs. We can relieve your fears and make dental work easy for you with conscious sedation. We are one of the few practices in the state with the qualifications to administer IV and oral sedation. Dr. Burris has been certified by the Dental Organization for Conscious Sedation, so you know you're in good hands. IV sedation provides the highest level of sedation and takes effect in the shortest amount of time. We maintain more control with an IV than with oral sedation. The medication is directly administered through the bloodstream for a more reliable and predictable level of sedation. You won't remember the procedure, and it will seem like it took just minutes. This type of sedation is used for longer appointments with extensive dental work and also for those with the greatest fear of dental work. 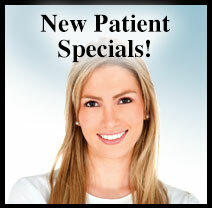 We also offer oral conscious sedation. By taking one pill an hour before your scheduled appointment, you will gradually feel very relaxed. You are not completely out, so you can respond to any questions asked by the doctor. But you are unaware of the procedure as you calmly sit in the dental chair. After the work is completed, someone drives you home. For lighter needs, we provide nitrous oxide, commonly called laughing gas. All three types of sedation are safe and effective to make your dental work easy, comfortable, and worry free. Call our office at (575) 522-1983 to determine how sedation dentistry can make your dental visit comfortable and relaxed.